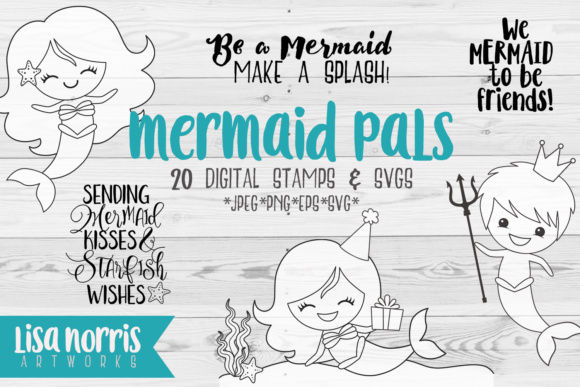 This sweet collection of digital stamps and SVG files features four mermaid pals with fun sentiments to match. 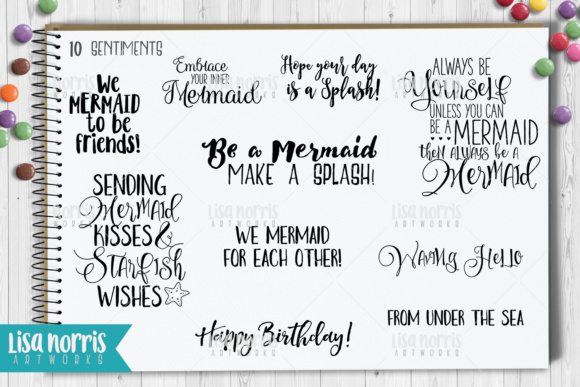 These images and phrases are perfect for scrap booking, paper crafts, vinyl crafts, coloring pages, and child/school related products. 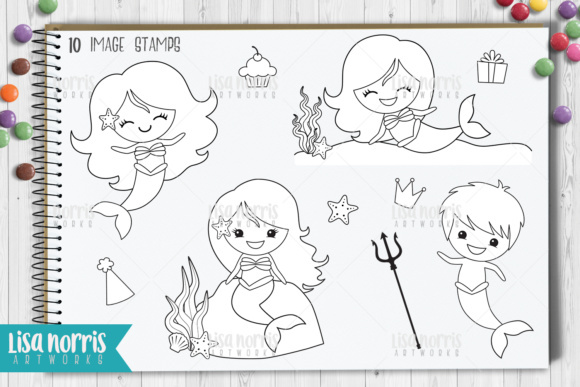 Includes all phrases and images. 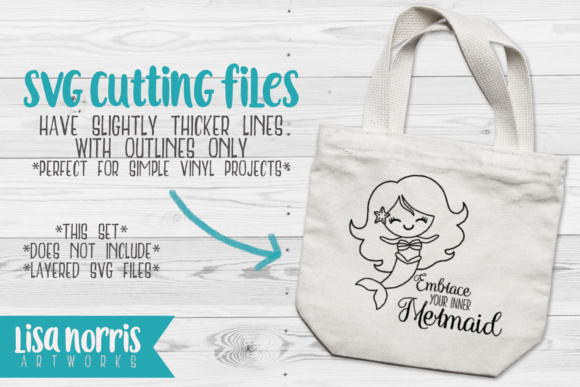 SVG images have slightly thicker outlines and no fill.